Writer Brandon Bell, who has appeared twice in M-Brane SF (in issues #1 and #5) and who contributed an article here on the blog last month appeared in Everyday Weirdness with a new flash-fic story called “Ward of the State.” I won’t bother to summarize it—just go read it. It only takes a few minutes. In this story, he pays a little bit of respectful homage to the tone and style of the late David R. Bunch, a remarkable writer (and one of my fellow St. Louisans) whom I hadn’t thought about much lately and who has been largely overlooked in recent years. 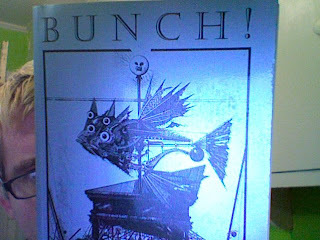 Bunch’s work is really odd, even singular, and I could see it being an either “love it” or “hate it” kind of thing for readers. In a syntactically dense style, he compresses a lot of emotion and a lot of bizarre events and unexpected ideas into pieces of fiction that, while usually quite brief, are not always the easiest things to read. The effort to take it in slowly usually pays off, however, and I found Bunch’s writing rather inspiring stylistically in my younger days. Unfortunately, I discovered David Bunch at a probably not good time in my development as a writer. He inspired me to try my hand at a lot of twisted, tortured, crazed prose that never made a lick of sense…and I mistakenly thought that I was working in a Bunchian mode. In particular, I remember at age 20 writing, in a single hot summer day, a calamitous ten-thousand-word catastrophe of a story called “The Glitter and the Obscenity of Babyl Pi.” So inventive and stylistically engaging did I find this piece of decroded crap that I actually entertained the idea that I was already writing at a pro level. For several months (boneheaded boy that I was), I submitted it to magazines. 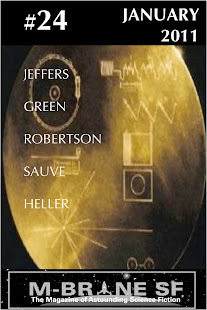 Though it was supposed to be sf, I didn’t even limit its submissions to genre mags: I thought so highly of it that I thought it best to submit it to “mainstream” journals because I considered it to be literary, Literary and LITERARY. But as it turned out, I had no idea what I was doing. I’m still not sure that I “get” David R. Bunch, but I have been reading once again the stories in his self-titled collection, and I am seeing a lot of stuff in them that I am certain that I missed years ago. As a result of that recollection of my own failure at trying to write in that way, I have also been reminded that Bunch, in these stories, wasn’t just wreaking pretty havoc with conventional mainstream story-telling but that he was also telling a lot of quite easy-to-understand stories if one is willing to deal with the style in which he does it and open one's mind to its angle. In my youthful attempts to mimic his unconventional style, I forgot that I needed to actually say something, tell a story, clarify meaning rather than obfuscate it. Five years after the failure with “Babyl Pi,” I received my first acceptance for publication on a story. It was, oddly enough, the one and only “mainstream” story I have ever written, and it was told in a totally transparent fashion that resembled in no way those past excesses. And then, gradually and at last, I make my way to the point of this post: Brandon’s new story in Everyday Weirdness is the kind of thing that I think that David Bunch, had he lived to read it, would have liked. It’s Bunch-weird but not a youthful excess…and it’s something shiny and new from a newish writer with a unique voice. Thanks as always for turning me onto different writers. I gave Brandon's story a read and it's very strange but striking in its weirdness. I guess I liked it but will read it again.